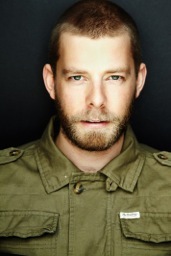 Wes Carr is a well know Australian singer, songwriter and actor. Wes was a member of the Johnny Young Talent team in Adelaide from the age of 8-14. He trained five nights a week in singing, dancing and acting, and took part in countless School Holiday Theatre performances, pantomimes and local shopping centre shows. At 15, he was awarded a Scholarship at The McDonald College performing arts school in Sydney. At this time Wes started playing local gigs around the Sydney folk scene which gave him the opportunity to work with Australian music icons including Paul Mac, Missy Higgins, Don Walker and Andrew Farris from INXS. In 2005 Wes collaborated with Ben Gillies from the very well-known Australian rock band ‘Silverchair.’ Together they formed a band called ‘Tambalane.’ They gained critical acclaim, extensive radio play across Australia and toured nationally twice. After winning Network Ten’s Australian Idol in 2008, Wes’s single titled You became a Platinum selling Aria number 1 single and his Gold selling album The Way the World Looks debuted at number 2 on the Aria chart. His track ‘Feels like Woah’ became the most played Australian radio song and the Rugby League theme song in 2009 and CBS in America also used it as their promotional song in 2010. He went on to tour around the country to packed out gigs and then toured with Ian Moss playing 58 shows with sold out audiences and rave reviews. In 2012-2013, Wes created a new side project Buffalo Tales which is an intimate and natural fit with folk and alt country overtones that lets his music speak for itself. He also released an EP titled Blood and Bone and an Album titled Roadtrip Confessions which both went to number 2 on the ITunes singer/songwriter charts. The BuffaloTales releases also gained a lot of college radio play across America debuting on the CMJ Top 200 at #168. ! Wes won the Best Male Artist Award at the International Acoustic Music Awards in 2013. He also won 2nd place in the international songwriting competition with his song ‘Lost’ which he co-wrote with Don Walker from Cold Chisel. In November 2013, Wes worked with Simon Phillips and Graeham Goble of the Little River Band to workshop a new musical about the band itself. Wes is available solo or with his awesome band.